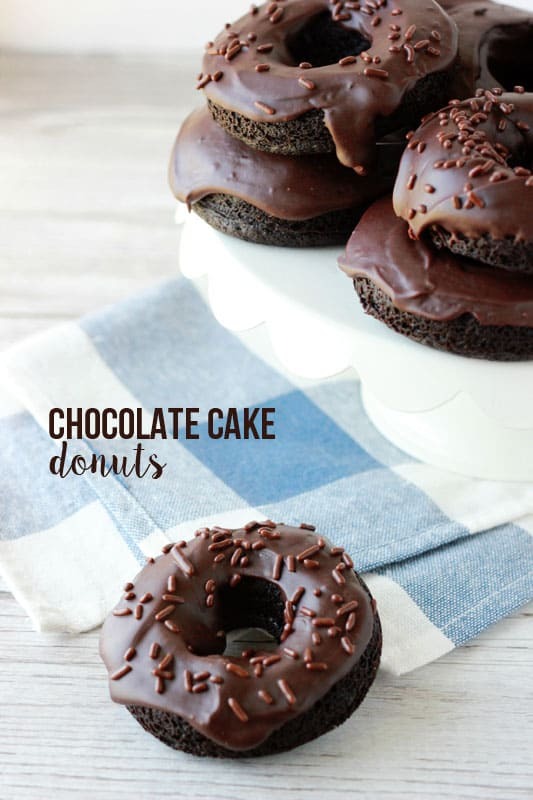 This chocolate cake donut recipe gives you a soft and moist treat! 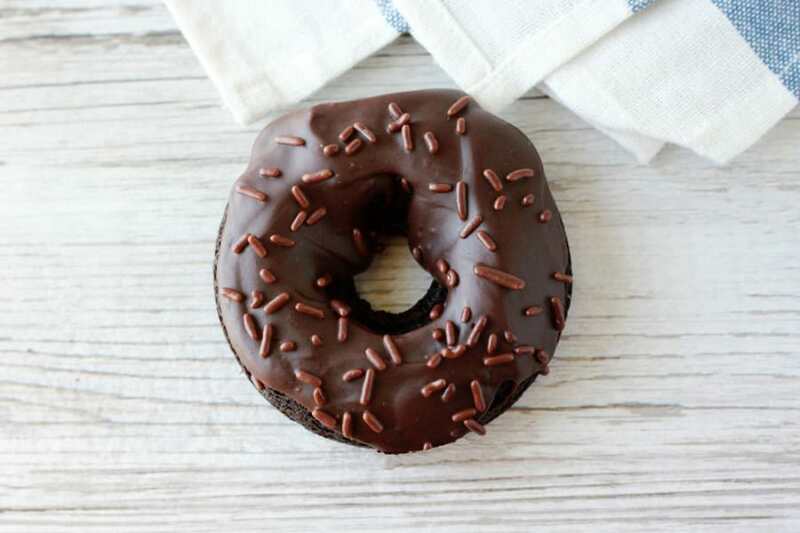 Dipped in a chocolate ganache and topped with chocolate sprinkles – this is the perfect baked chocolate donut. It is well known around my family that I am not much of a chocolate fan. I would much rather reach for something packed with citrus or maybe even a slice of cheesecake. Since I already have several versions of brownies that I am in love with, I figured it was time I tried my hand at a copycat donut. 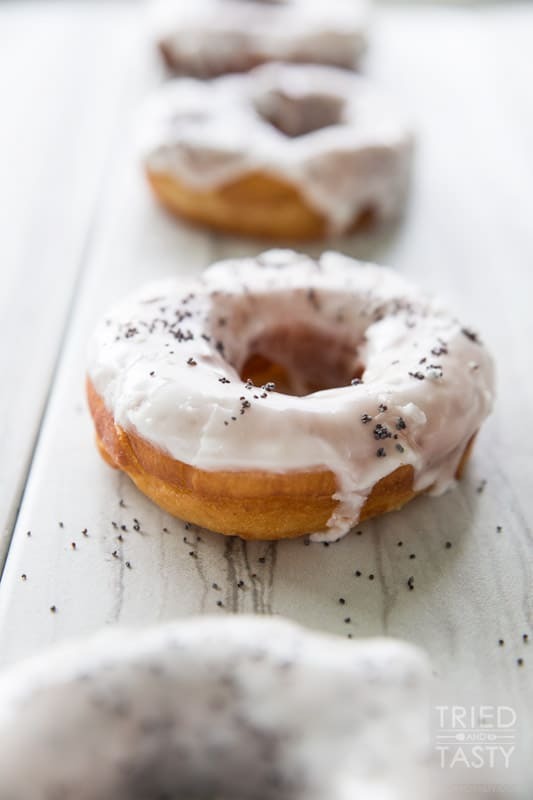 These easy donuts are light and rich flavor. When dipped in a homemade chocolate gananche they are irresistible. My seven year old declared these the greatest donuts in all of the land! Disclaimer? He loves anything chocolate and has a hard time staying objective. But I have to agree. 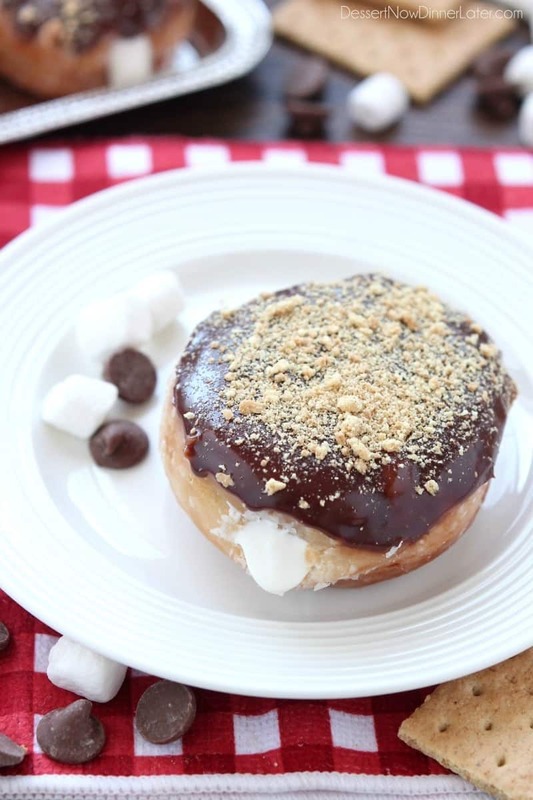 This is the perfect baked donut recipe. What is the difference between baked donuts and fried donuts? When you order a doughnut you will typically see two varieties: fried and baked. So, what is the difference between the two? First up, Fried doughnuts. You will see these made with yeast and risen. From there they are fried a few minutes on each side until golden brown. They are then either dipped or drizzled with a glaze or frosting. 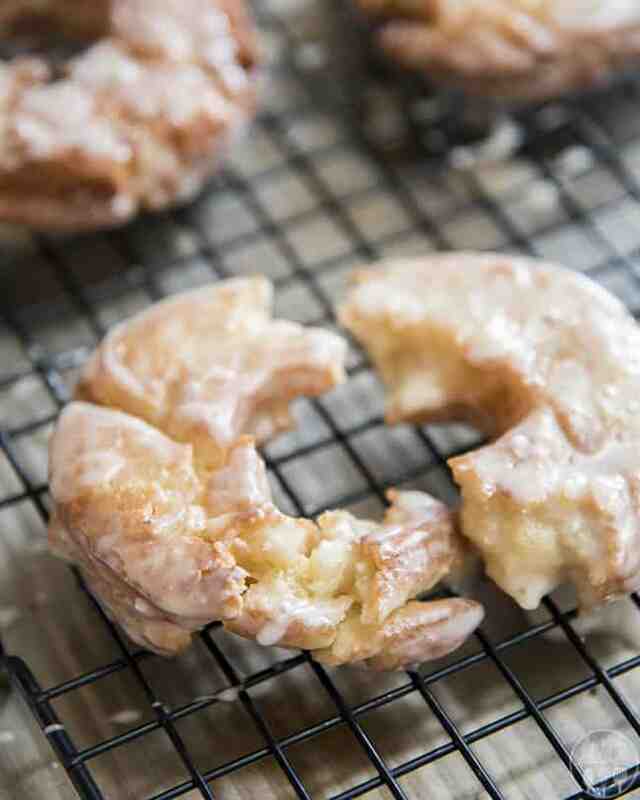 The texture of a fried donut will be light and should melt in your mouth. Baked doughnuts have a more dense cake like texture. The dough is made with no yeast which means it will be more like a cake batter. 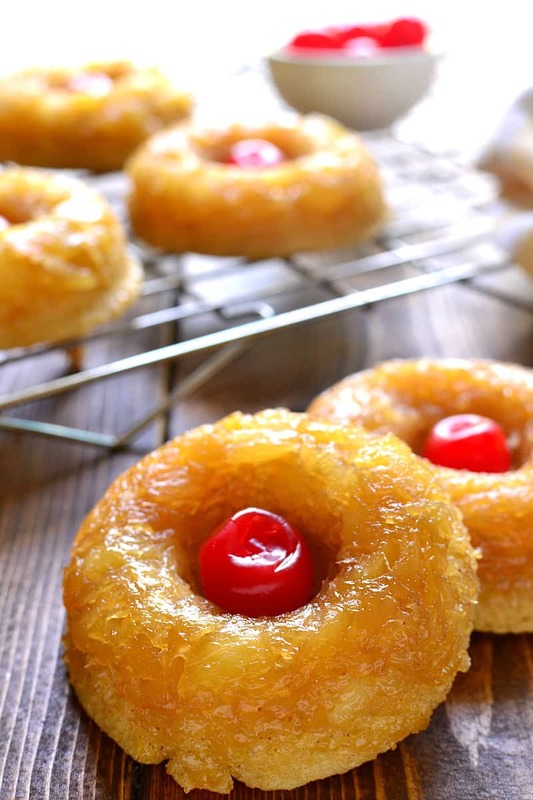 You will need a quality donut pan to give your donuts their traditional shape. I decided to go with the baked chocolate donut. This variety is more cake like and perfect for our morning treat. We dipped them in a sweet chocolate ganache that was the absolute perfect finishing touch. Add chocolate chips, butter, corn syrup, and water in a microwave safe bowl. Heat until the chips are melted and the glaze is smooth. Dip your donuts and let them set until firm. 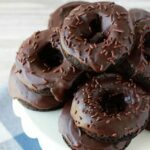 This chocolate cake donut recipe gives you a soft and moist treat! 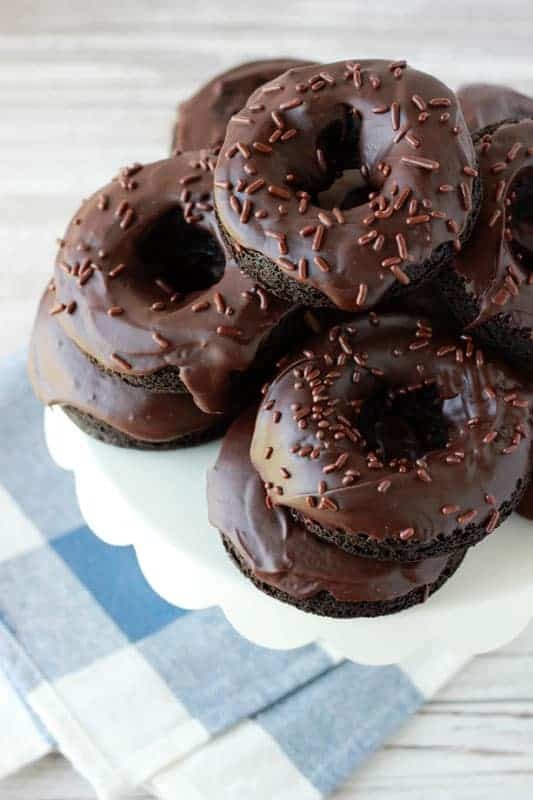 Dipped in a chocolate ganache and topped with chocolate sprinkles - this is the perfect baked chocolate donut. Preheat your oven to 350 degrees. Lightly mist two donut pans with cooking spray and set aside for later use. Stir together the flour. cocoa, sugar, baking powder, baking soda, and salt. Whisk the eggs, buttermilk, vanilla, and melted butter in a large measuring cup. Pour into your dry ingredients and mix until combined. Fold in the chocolate chips. Spoon your batter into a large Ziploc. Cut the corner with scissors and pipe into your prepared pans until 1/2 full. Bake for 12-15 minutes or until a toothpick comes out clean. For the glaze combine the chocolate chips, butter, corn syrup, and water in a microwave safe bowl. Heat for 20 seconds at a time, stirring in between sessions, until melted. 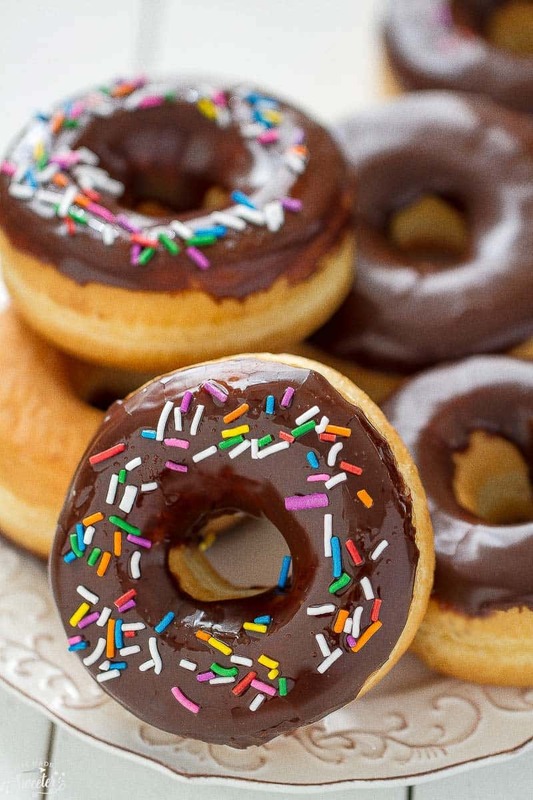 Dip your donuts and sprinkle with chocolate jimmies. These look absolutely perfect! 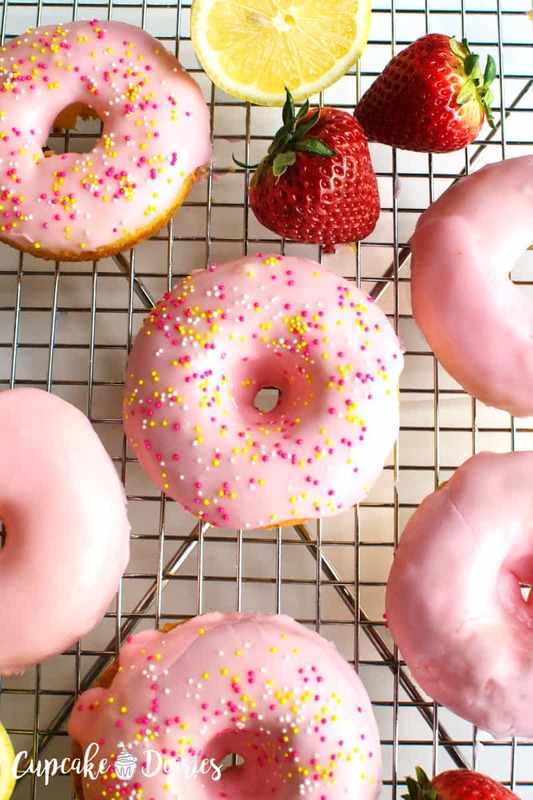 I’m with you, citrus desserts are my favorite but these gorgeous donuts would totally be right there at the top! Love the sprinkles! Hi- these look delicious! 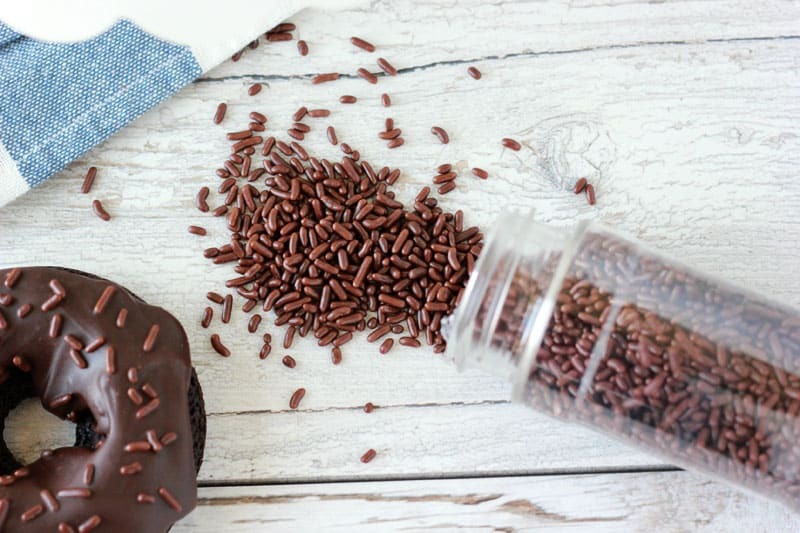 One question – by dark cocoa,do you mean Dutch cocoa? Thanks! Ohm…I neeeeed a baking donut pan NOW!! These look amazing! 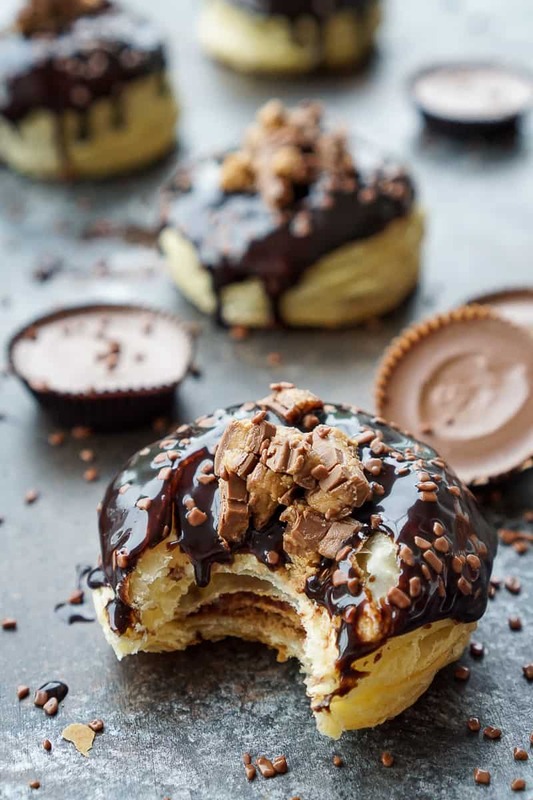 Can i make these without a donut pan? 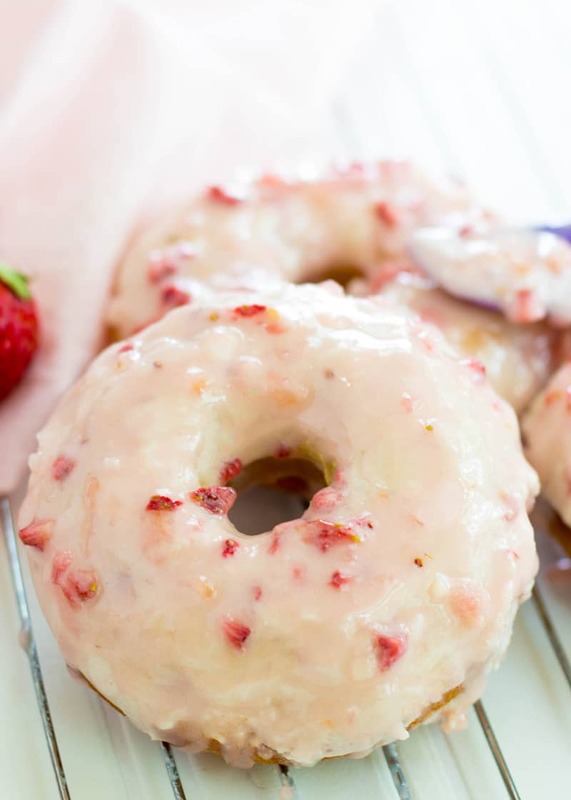 Since this is a baked donut I would not recommend making them without a pan. 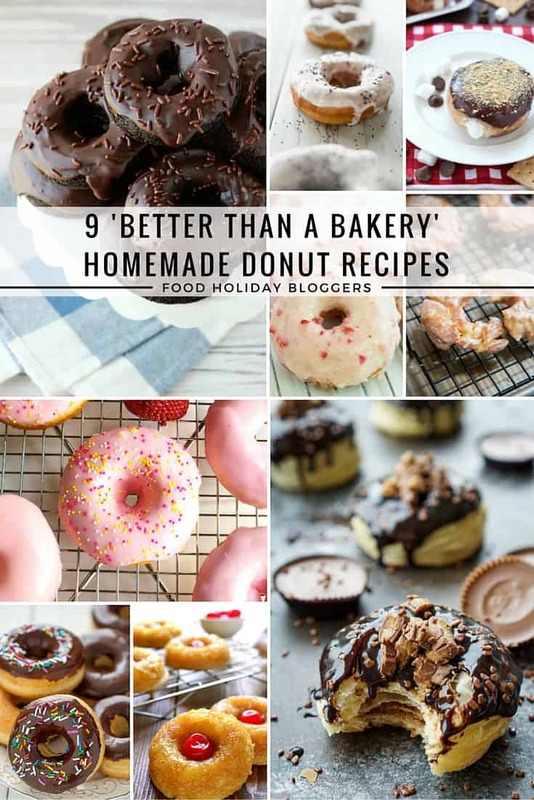 However, you could attempt to fill a large zip top bag with the batter, snip the corner, and pipe out your donuts onto a parchment lined baking tray. I do not guarantee that this method will work since I have not tried it myself.